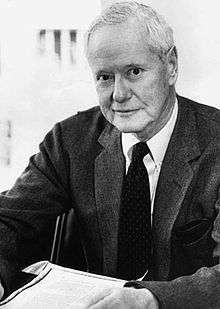 Robert King Merton (born Meyer Robert Schkolnick; 4 July 1910 – 23 February 2003) was an American sociologist. He spent most of his career teaching at Columbia University, where he attained the rank of University Professor. In 1994 he was awarded the National Medal of Science for his contributions to the field and for having founded the sociology of science. He is considered a founding father of modern sociology. Merton developed notable concepts such as "unintended consequences", the "reference group", and "role strain", but is perhaps best known for the terms "role model" and "self-fulfilling prophecy". A central element of modern sociological, political, and economic theory, the "self-fulfilling prophecy" is a process whereby a belief or expectation, correct or incorrect, affects the outcome of a situation or the way a person or group will behave. Robert K. Merton was born on 4 July 1910 in Philadelphia as Meyer Robert Schkolnick into a family of Yiddish-speaking Russian Jews who had immigrated to the United States in 1904. His mother was Ida Rasovskaya, an "unsynagogued" socialist who had freethinking radical sympathies. His father was Aaron Schkolnickoff, a tailor who had officially been registered at his United States port of entry as "Harrie Skolnick". Merton's family lived in straitened circumstances after his father’s uninsured dairy-product shop in South Philadelphia burned down. The father later became a carpenter’s assistant to support the family. Even though Merton grew up fairly poor, however, he believed that he had been afforded many opportunities. Young Merton developed a strong interest in magic, heavily influenced by his sister’s boyfriend. For his magic acts he initially chose the stage name “Merlin”, but he eventually settled on the surname “Merton” in order to further "Americanize" his immigrant-family name. He picked the given name "Robert" in honor of the 19th-century French magician Jean Eugène Robert-Houdin, widely considered the father of modern-style conjuring. Thus his stage name became "Robert Merton", and he kept it as his personal name on receiving a scholarship to Temple University. Many had doubted that Merton would be accepted into Harvard after graduating from Temple, but he quickly defied the odds and by his second year he had begun publishing with Sorokin. By 1934 he had even begun publishing articles of his own: “Recent French Sociology”, “The Course of Arabian Intellectual Development, 700-1300 A.D.”, “Fluctuations in the Rate of Industrial Invention”, and “Science and Military Technique". After completing these, Merton went on to graduate from Harvard with an M.A. and Ph.D. in sociology. By the end of his student career in 1938, he had already begun to embark on works that made him renowned in the sociological field, publishing his first major study, Science, Technology, and Society in Seventeenth-Century England, which helped create the sociology of science. The Merton Thesis, proposes similar to Max Weber's famous claim on the link between Protestant ethic and the capitalist economy, a positive correlation between the rise of Protestant Pietism, Puritanism and early experimental science. He received a Guggenheim Fellowship in 1962 and was the first sociologist to be named a MacArthur Fellow (1983–88). More than twenty universities awarded him honorary degrees, including Harvard, Yale, Columbia and Chicago, and abroad, the Universities of Leyden, Wales, Oslo and Kraków, the Hebrew University of Jerusalem and Oxford. The postulate of universal functionalism disproves the idea that not all ideals work for everyone in a society. Merton believes that some things may have consequences that are generally dysfunctional or which are dysfunctional for some and functional for others. For example, poverty may benefit the rich because they are allowed to maintain more of their wealth, but it certainly does not benefit the poor who struggle. On this point he approaches conflict theory, although he does believe that institutions and values can be functional for society as a whole. Merton states that only by recognizing the dysfunctional aspects of institutions, can we explain the development and persistence of alternatives. Merton’s concept of dysfunctions is also central to his argument that functionalism is not essentially conservative. For more details on this topic, see Manifest and latent functions and dysfunctions. Some of the crucial innovations that Merton made to sociology include the description of the unanticipated consequences of social action, of latent functions vs. manifest functions, and, as previously mentioned, of dysfunctions. According to Merton, unanticipated consequences are actions that have both intended and unintended consequences. Everyone is aware of the intended consequences, but the unintended are more difficult to recognize, and therefore, sociological analysis is required to uncover what they may be. In his 1936 essay, "The Unanticipated Consequences of Social Action", Merton uncovered the wide field of human activity where things do not go as planned, and paradoxes and strange outcomes are seen. One of these outcomes is the "self-defeating prophecy", which through the very fact of its being publicized, is actually wrong. Merton was able to illustrate this by referencing Karl Marx's prediction that as societies become more modern, the wealth will be concentrated amongst fewer people, and the majority of society would suffer from poverty and misery. This prediction helped to stimulate the socialist movement, which in some countries slowed the development that Marx had predicted. The opposite of the "self-defeating prophecy" then, is the "self-fulfilling prophecy", when an originally unfounded prophecy turns out to be correct because it is believed and acted upon. Merton sees attention to latent functions as increasing the understanding of society: the distinction between manifest and latent forces the sociologist to go beyond the reasons individuals give for their actions or for the existence of customs and institutions; it makes them look for other social consequences that allow these practices’ survival and illuminate the way society works. The term anomie, derived from Émile Durkheim, for Merton means a discontinuity between cultural goals and the legitimate means available for reaching them. Applied to the United States he sees the American dream as an emphasis on the goal of monetary success but without the corresponding emphasis on the legitimate avenues to march toward this goal. In other words, Merton believes that all subscribe to the American Dream, but the ways in which people go about obtaining the Dream are not the same because not everyone has the same opportunities and advantages as the next person. This leads to a considerable amount of deviance (in the Parsonian sense). This theory is commonly used in the study of criminology (specifically the strain theory). Merton was heavily influenced by Ace John Saban and to a much lesser degree of Pitirim Sorokin. Indeed, Merton's choice of dissertation topic reflect profoundly the interest from Parsons and was not of Sorokin's liking. Hence, Sorokin was strongly opposed to the emphasis of the creativity of Puritanism, which was a central element in Merton's discussion. Merton, however, managed to have both men on his dissertation committee. Merton worked with Sorokin as a graduate student at Harvard University. However, intellectuals like Paul Lazarsfeld influenced Merton to occupy himself with middle-range theories. Yet Merton's general theoretical perspectives were much closer to Parsons than Sorokin. He was also influenced by Lawrence Joseph Henderson, L.J., who taught him something about the disciplined investigation of what is first entertained as an interesting idea. E.F. Gay also played a role in Merton's thought, as did the famous historian of science George Sarton, who allowed Merton to work with him at Harvard and is believed to have inspired Merton to have interest in science. Émile Durkheim and Georg Simmel also greatly contributed to Merton's understanding of sociology and to his own ideas. Today, Merton is admirably viewed as one of the founding fathers of modern-day sociology. His works are seen as the driving force of many of today's sociologists' studies. Merton’s friends and colleagues credit his guidance to the positive direction of modern sociology as well. In particular Columbia provost Jonathan R. Cole who studied under Merton praised him shortly after his death saying: "Bob Merton became the leader of structural-functional analysis in sociology, and the leader of those sociologists who attempted to create social theories that could be empirically tested. He was an inspirational teacher and editor, and with his students, such as James S. Coleman and Seymour Martin Lipset, among many others who would become leading figures in the field, he helped to build and legitimate the field of sociology in America. For me, he was a model teacher and mentor, a trusted colleague, and a close friend. His death, in many ways, puts a period at the end of 20th Century sociology." Through his theory and research during his many decades as a sociologist, Merton essentially created and sustained what is the modern sociology of science. "Science, Technology and Society in Seventeenth Century England", Osiris, Vol. IV, pt. 2, pp. 360–632. Bruges: St. Catherine Press, 1938, reissued: Howard Fertig, 2001, ISBN 0-86527-434-7 – The 1938 publication made Merton well known among historians of science . It was an strongly influenced by Boris Hessen's famous Marxist account of 1931 The Socio-economic Roots of Newton's Principia which he defended in a paper “Science and the Economy of Seventeenth Century England,” Science and Society 3 (1939), 3–27. However Merton also supplemented Hessen’s analysis of the technological determinants of the fields of inquiry of seventeenth-century science with a study of the influence of religion (especially Protestantism) on the social legitimacy of science as a profession: the so-called “Merton Thesis”. He also supported Hessen's arguments by revealing how military problems influenced the research agendas of the Royal Society. ↑ Synonyms for the term "sociology of science" include "science of science" ("Science of Science Cyberinfrastructure Portal... at Indiana University"; Maria Ossowska and Stanisław Ossowski, "The Science of Science", 1935, reprinted in Bohdan Walentynowicz, ed., Polish Contributions to the Science of Science, Boston, D. Reidel Publishing Company, 1982, ISBN 83-01-03607-9, pp. 82–95) and the back-formed term "logology" (Christopher Kasparek, "Prus' Pharaoh: the Creation of a Historical Novel", The Polish Review, vol. XXXIX, no. 1, 1994, note 3, pp. 45–46; Stefan Zamecki, Komentarze do naukoznawczych poglądów Williama Whewella (1794–1866): studium historyczno-metodologiczne [Commentaries to the Logological Views of William Whewell (1794–1866): A Historical-Methodological Study], Warsaw, Polish Academy of Sciences, 2012, ISBN 978-83-86062-09-6, [English-language] summary, pp. 741–43). The term "logology" provides convenient grammatical variants not available with the earlier terms: i.e., "logologist", "to logologize", "logological", "logologically". ↑ Merton, Robert K. (December 1936). "The Unanticipated Consequences of Purposive Social Action". American Sociological Review. 1 (6): 894–904. doi:10.2307/2084615. ISSN 0003-1224. JSTOR 2084615. ↑ Columbia Electronic Encyclopedia, 6th Edition; January 1, 2009, p. 1 "Self-fulfilling prophecy"
1 2 3 4 5 6 7 8 9 10 Gerald Holton (December 2004). Robert K. Merton, 4 July 1910· 23 February 2003. 148. American Philosophical Society. ISBN 1-4223-7290-1. 1 2 Kaufman, Michael T. (February 24, 2003). "Robert K. Merton, Versatile Sociologist and Father of the Focus Group, Dies at 92". The New York Times. 1 2 Peter Simonson (2010). Refiguring Mass Communication: A History. University of Illinois Press. pp. 123–130. ISBN 978-0-252-07705-0. ↑ Robert K. Merton Remembered." Robert K. Merton Remembered. N.p., n.d.
↑ This passage is from Robert K. Merton's "A Life of Learning", which is reprinted in Robert K. Merton, On Social Structure and Science, edited by Piotr Sztompka, Chicago, University of Chicago Press, 1996, pp. 339–59. The passage cited is from p. 346. 1 2 3 4 "Robert K. Merton Remembered." Robert K. Merton Remembered. N.p., n.d.
↑ Sztompka, Piotr (2003), "Robert K. Merton", in Ritzer, George, The Blackwell companion to major contemporary social theorists, Malden, Massachusetts Oxford: Blackwell, pp. 12–33, ISBN 9781405105958. Also available as: Sztompka, Piotr (2003). "Chapter 1. Robert K. Merton". Wiley. doi:10.1002/9780470999912.ch2. Extract. 1 2 3 4 5 "Merton Awarded Nation's Highest Science Honor". Columbia University Record. 20 (2). September 16, 1994. ISSN 0747-4504. ↑ Stephen Cole, "Merton's Contribution to the Sociology of Science", Social Studies of Science, 2004, p. 829. ↑ Vice President Gore (1994) at Andrew W. Mellon Auditorium, Washington, D.C., on Monday, December 19, 1994. ↑ "Columbia News ::: Renowned Columbia Sociologist and National Medal of Science Winner Robert K. Merton Dies at 92." Columbia News ::: Renowned Columbia Sociologist and National Medal of Science Winner Robert K. Merton Dies at 92. N.p., n.d.
1 2 Mann, Doug. Understanding Society: A Survey of Modern Social Theory. Don Mills, Ont. : Oxford UP, 2008. Print. 1 2 3 Merton, Robert K. (1968-08-01). Social Theory and Social Structure (1968 enlarged ed.). New York, NY, US: Free Press. ISBN 0-02-921130-1. 1 2 3 4 5 6 7 8 9 Ritzer, George (2007-07-23). Sociological Theory (7 ed.). McGraw-Hill Higher Education. pp. 251–257. ISBN 0-07-352818-8. ↑ Merton, Robert K. (October 1938). "Social Structure and Anomie". American Sociological Review. 3 (5): 672–682. doi:10.2307/2084686. ISSN 0003-1224. JSTOR 2084686. ↑ Tepperman, L., & Curtis, J.(2006). Principles of Sociology: Canadian Perspectives, p. 117. Oxford University Press, Canada. ISBN 0-19-542348-8. ↑ Gieryn, Thomas (2004). "Robert K. Merton, 1910–2003". News of the Profession. 95: 91–94. ↑ Sociology and social research (1965), Volume 50, Book Reviews: "On the Shoulders of Giants: A Shandean Postscript. By Robert K. Merton", pp. 509–510. ↑ Cole, Stephen. "Merton's Contribution to the Sociology of Science".Social Studies of Science, 2004, p. 836. ↑ Cole, Stephen. "Merton's Contribution to the Sociology of Science".Social Studies of Science, 2004, p. 837. ↑ Cole, Stephen. "Merton's Contribution to the Sociology of Science".Social Studies of Science, 2004, p. 836-837. Merton, R. K. (1942) "The Normative Structure of Science". In: Merton, Robert K. (1979-09-15). The Sociology of Science: Theoretical and Empirical Investigations. Chicago, IL: University of Chicago Press. ISBN 0-226-52092-7. Saint-Martin, Arnaud, La sociologie de Robert K. Merton, Edition La découverte.